Do you need center straps for your Pickleball nets? 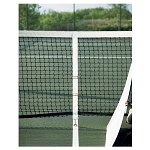 Tennis Court Supply carries the best-quality center straps at affordable prices. We have Pickleball net center straps from respected manufacturers Douglas, Courtmaster, Putterman, Edwards, and Collins. 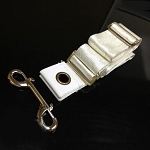 A variety of center straps are available, including Velcro adjustable center straps, double-ended center straps, and more. You are sure to find a suitable center strap among our selection. Feel free to contact Tennis Court Supply if you have any questions about our products or need other assistance with setting up or purchasing the right products for your court.